11:36pm, flight originally scheduled for 7:50pm departure, board shows 12:50am but the reality is that our “rescue” aircraft’s crew had timed-out upon arrival and we were now scheduled for 7:52am. Except that in the middle of the night they changed that to 7:15am. Note that none of the delays were due to weather. This all started with an aircraft that “went mechanical” and things cascaded downward from there. This was the biggest fail on UA’s part I’ve seen in many years of flying. I could rehash the gory details of United’s total fail Sunday night/Monday morning, but why not just reprint the email I sent to United? I did make it back home, but I was beginning to feel like I was part of a TV show, either LOST or Manifest. I haven’t had a truly bad experience on United in quite a few years. My SFO-FSD flight that began 3/10 was straight out of twilight-zone hell. 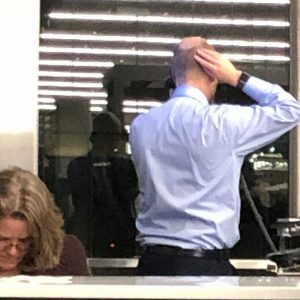 What a United gate agent who’s hearing news he doesn’t want to pass onto the passengers looks like. After our first plane went mechanical, we were told two different “rescue” planes were coming for us. One of the planes never left its origin, and the other actually did arrive but apparently the crew must have timed out because it was within minutes of arrival that the flight was rescheduled to the next morning. I was tracking the different inbounds using both the UA app and Flightaware. First delay at 6:48pm 3/10, said departure 9:45pm. 11:35pm gate agent tells us to head to customer service area in concourse B (flight was at E1). This is the van I couldn’t get to in time. Being on crutches, I would have to wait for the next one since everyone else waiting was faster. So I’m heading off, on crutches, to concourse B. Obviously I’m among the last to get there. It’s just before midnight that I get my turn. 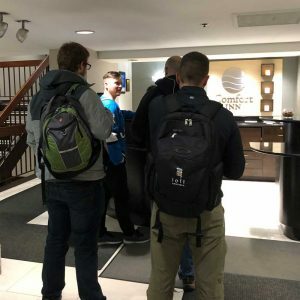 I let her know it’s not easy for me to get around but she tells me there’s nothing closer than the Comfort Inn, where it seems most of us have been sent. I ask how to catch the shuttle; she tells me you just go down the escalator and out the doors to the hotel shuttle area. She doesn’t tell me the hotel shuttle area is quite some distance to walk (remember, I’m on crutches), on sometimes-icy sidewalk and pavement. Had to ask a parking lot shuttle driver for directions; he kindly took me part of the way. Far more consideration than I got from United that evening. I get to the shuttle waiting area, and the Comfort Inn shuttle arrives. Fastest-person wins. Guy on crutches (me) is left behind. This is at 12:25am. 25 minutes later the shuttle returns, and the driver makes sure I get on this time. There are others from UA 4409 that are still waiting for him to make his next round. Was United unaware of the capacity issues when booking so many people from one flight into the same (smallish) hotel? It was another 20 minutes waiting to get checked in. On the way we passed many name-brand hotels with vacancy signs. This was not the only game in town. Perhaps, if I were higher level than Gold, it might have made a difference? One more final and tough-to-rationalize United act. We were told 7:52am departure when we left ORD. At 4:49am United moved up the departure to 7:15am! Bear in mind this was not a re-booking; this was our original flight. Filled only by the original UA4409 passengers. The hotel shuttles were booked solid when we arrived and besides, nobody had any way of knowing they should be getting up even earlier. Thankfully a wonderful United gate agent accepted me onto 4409, even though boarding was closed. I lived through the Summer of Hell as well as the “We realize you have a choice of which bankrupt airline to fly” years and never let things get to me. But UA4409- it was like the plane/passengers that United tried to forget. Made much worse by the way a guy on crutches was treated w/regards the accommodations. It was a humbling experience for me. 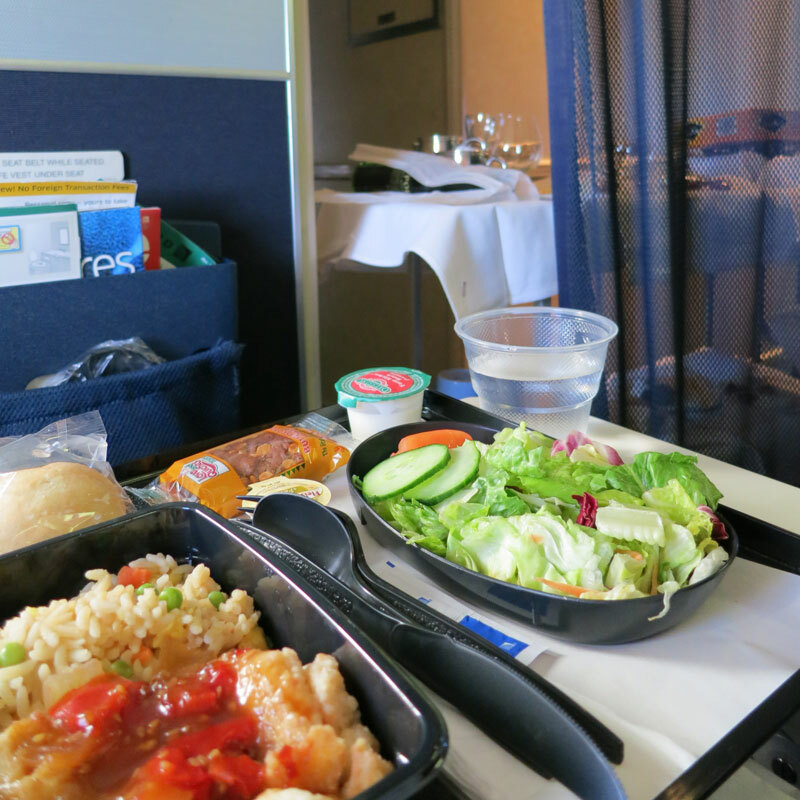 If this experience was within United’s policies, I need to think about moving on. I do not want to move on though. United is convenient and most of my experiences are positive. I realize my business won’t make a dent in United’s bottom line, but if (my experience) was within the norm for United policies, I surely wouldn’t be the only one. Please convince me staying makes sense. 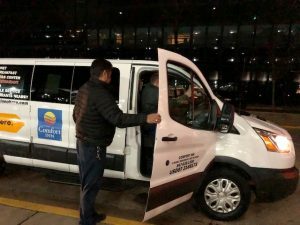 While waiting in the cold for a shuttle you get to look across the street to the place United COULD have booked you, and gotten at least an extra hour sleep. This is nothing new to me; long (seemingly-endless) travel “days” without sleep have become the norm. I don’t look forward to them, but you get past them and somehow the brain-numbing ordeal seems to set your clock to local time a lot faster; I feel 100% adjusted the day after arrival. The experience isn’t enjoyable but it’s a means to an end. And in the end, everything worked out as planned, but I gotta say, the second leg’s plane, an aging 767 that seemed older than UA’s Rhapsody in Blue corporate theme song, was close to disgusting in Coach. 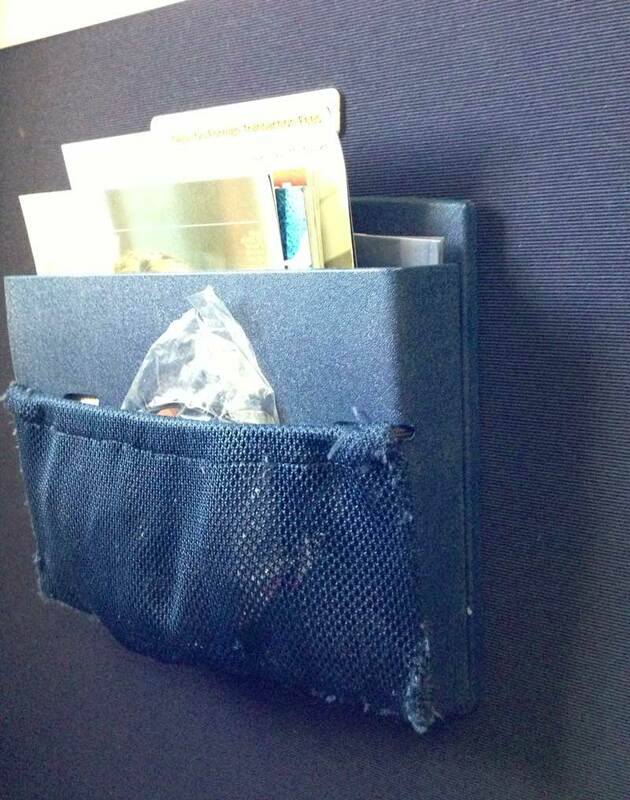 Loose panels over the emergency exit door, worn & torn wall-mounted pouch for United’s magazine and safety materials, and the carpet? I think United salvaged the stuff we threw out last year when we redid our floors! Thin, torn in places, and the only thing holding it together was likely the dirt. Even the overhead bins were an issue; this had the old style that don’t allow you to place your luggage in front-to-back, so space is drastically reduced by people having to place their rollaboards sideways. This is pretty shabby… first thing you notice getting to your seat. 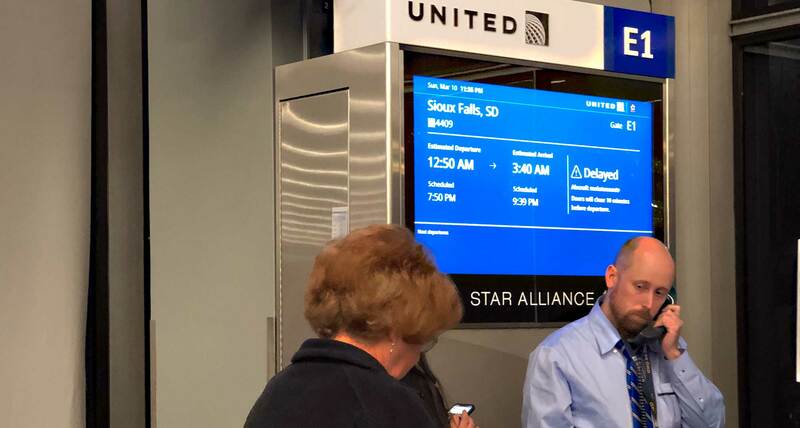 There have been a number of recent changes to United’s elite flyer programs, making it seem that they only really care about a small number of customers who buy high-priced last-minute fares for business trips. I sure hope they don’t run out of space up front for them, because anybody sitting in the cheap seats of this particular plane wouldn’t think the airline thought much of them. 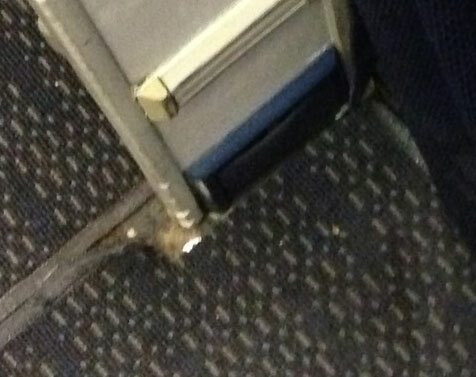 Did United scavenge the rug we replaced at the shop? In general, I’ve thought that United had been doing a pretty decent job, recovering from their bankruptcy a few years past, and the various problems that came with their merger with Continental. But if they’re still letting a piece of equipment like this one fly the friendly skies, clearly having been in need of substantial renovation for a number of years, you just gotta wonder. But they did get me to Munich, on time, and without hassle. Something that would have been a challenge for them just a couple years ago. Lufthansa? Oh my goodness, how much more apologetic, in an amazingly-sincere way, could you get over the fact that you were going to be leaving 4-5 minutes late due to delays getting baggage loaded? And then again at the end of the flight. The pilot’s German accent caused us to think he said 45 minutes, which made sense; who would be apologizing for 4 or 5? Nice clean plane too. The photos and descriptions of United’s 767 were sent to United via their website form. Read on for the surprising result. Thank you for contacting United Airlines. 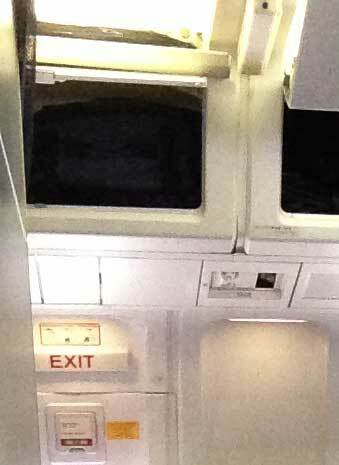 I regret learning about your disappointment with the appearance of the cabin aboard flight 655 11July13. In efforts to provide you with a seamless travel experience, United expects our staff to maintain the aircrafts to ensure the cabins are safe and comfortable. The comfort of our passengers is a primary focus for us, and I truly regret you were disappointed in our service. Each aircraft adheres to a rigorous maintenance schedule to help ensure our customers enjoy safe and comfortable travel. I will include your comments in our monthly Customer Care report. The report will be reviewed by our Technical Operations Team. I am confident necessary repairs will be made. Please be assured your comments have been reported to the members of senior management team as well, for internal review. As a goodwill gesture I have added thirtyfive hundred bonus miles. to your MileagePlus account. Mike: Did you send UAL the same comments about your France trip you posted a while back? They heard from somebody. Quite a few legacy United 767 aircraft have recently had interior audits done. The worst plane spent about a week at SFO. More than 100 items were replaced, cleaned up, or re-worked. This plane wasn’t supposed to be in for routine major mechanical service until late this year. Keep your comments coming.